Know how one can make India swachh with this new fitness trend – Plogging, in which one picks up trash while running or walking. ‘If you see garbage, pick it up,’ with this as his mantra, 35-year-old Jacob Cherian, a digital entrepreneur from Bengaluru, has been picking up trash strewn across the natural sites of India that he had trekked across, for the past two years. Recently during the Easter weekend (March 30 to April 1), Jacob got inspired by a Scandinavian trend that originated in Sweden in 2016 – Plogging, which is about picking up trash while running/walking. He saw this trend on social media through a viral post and immediately decided to host a ‘Plogging Party’ in India. I am an entrepreneur by profession, to escape the everyday monotony of the routine life, I thought of buying a land in the woods, so that every once in a while, I can go there and relax. Moreover, enjoy the pristine beauty of woods and mountains. I opted for Kodaikanal, a hill town in Tamil Nadu. Towards the end of 2016, I bought this land, and from the very first day of all my tours there, all I have been doing is picking up trash from the neighbourhood, while I trek the surroundings. I was really inspired when I saw how plogging was emerging as a viral eco-lifestyle trend in the globe. I immediately thought of hosting a similar drive in Kodaikanal. 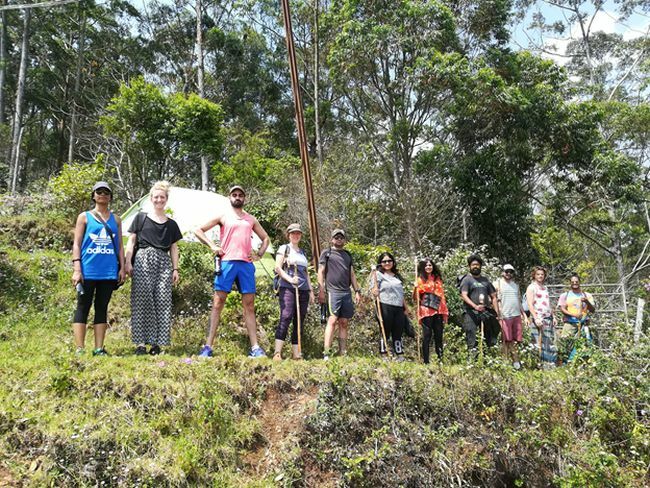 In 24 hours, I made a Facebook event – ‘The Plogging Party’, planned a 3 days and 2 night itinerary for trekkers and invited people to join me for this adventurous clean-up drive. From food to stay and activities, everything was taken care off. Soon enough, his simple Facebook event got support from various people. We should not wait for others to clean the mess, if we see trash; we should just pick it up instantly. I am doing my bit towards our planet, if each one of us will start doing the same, India can become waste-free. Previous Post: Bonti Saikia from Assam Contributes To Make Her Village ODF. Gets Honored by PM Modi. Next Post: After Learning About The Health Risks Of Open Defecation, Class 10 Girl’s Hunger Strike Inspires 35 Students To Stage A Protest.